Its my 50th recipe and a small milestone in my food blogging adventure. From 3 months I have been blogging about appetizers, main course and many more but desserts were missing in my blog. 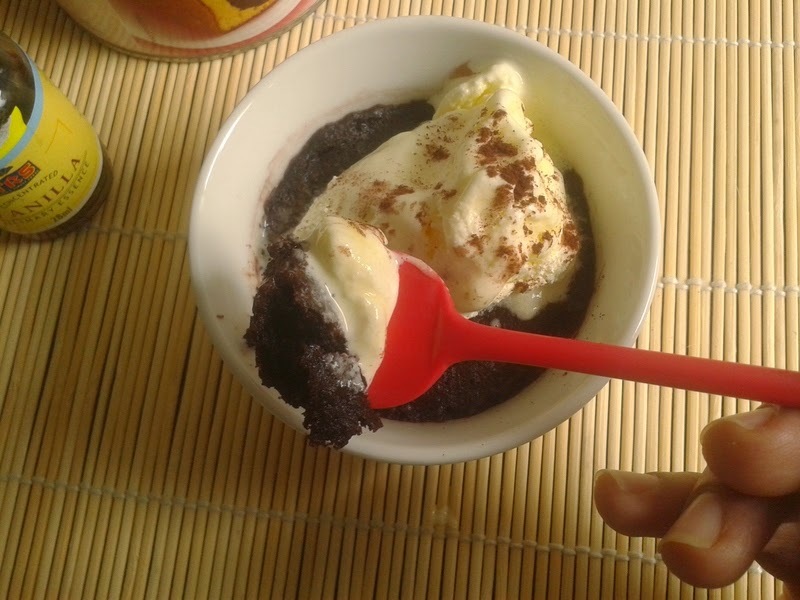 So thought of sharing a dessert recipe that's quick, easy and yummy. 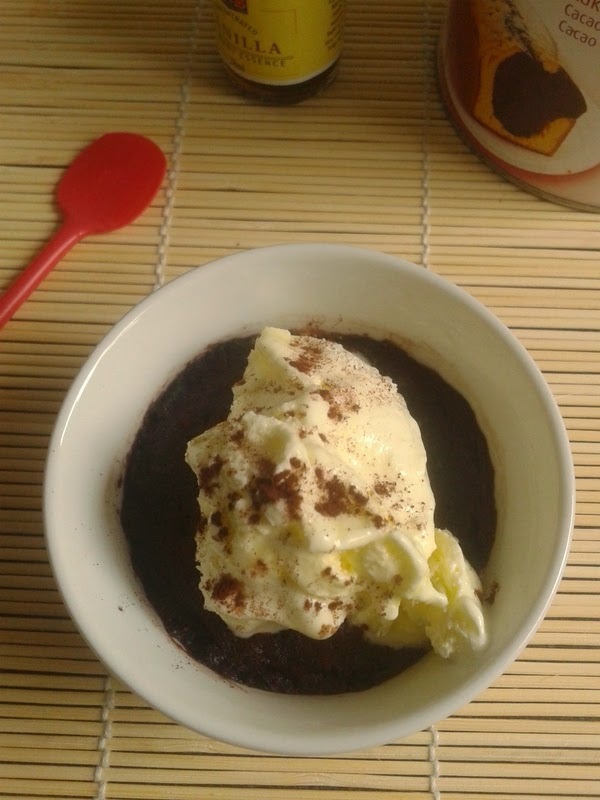 Hot Brownie with Ice Cream is one of my favorite dessert and I love it. It takes just 2 minutes to make this dessert and can be made at 2 am in the night also. It is a microwave recipe and requires very few ingredients. You can either just enjoy the hot chocolate cake or have it with a scoop of vanilla ice cream. I prefer to have it with ice cream as it tastes best that way. So lets proceed step by step. 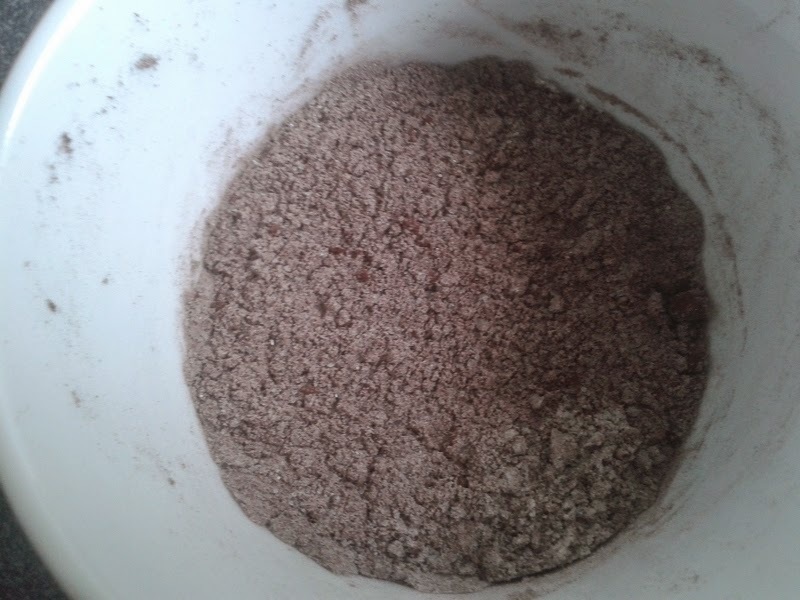 In a microwave safe bowl add all purpose flour, sugar and coca powder, 1 tablespoon each. I have given the measurement according to my bowl. 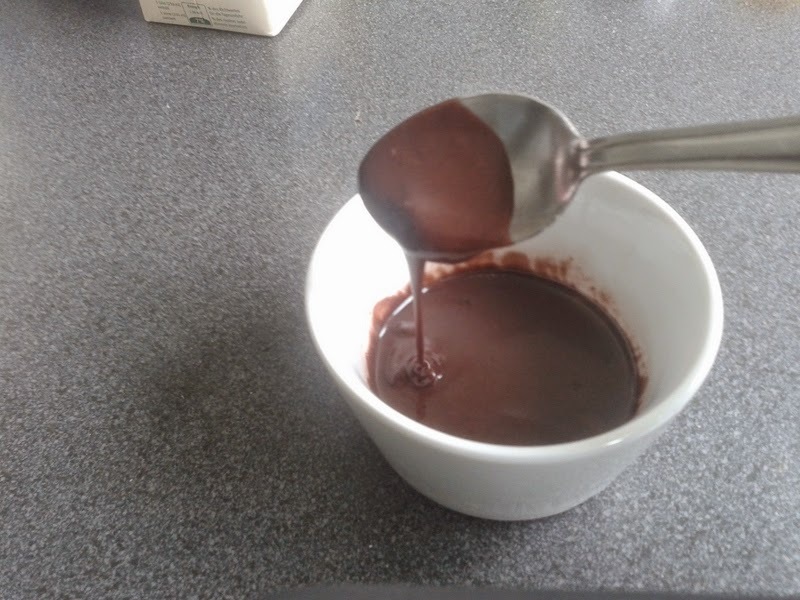 You can increase the quantity according to your bowl or cup. Now add milk, oil, vanilla essence, baking powder and a pinch of salt. Stir all the ingredients well with a spoon. 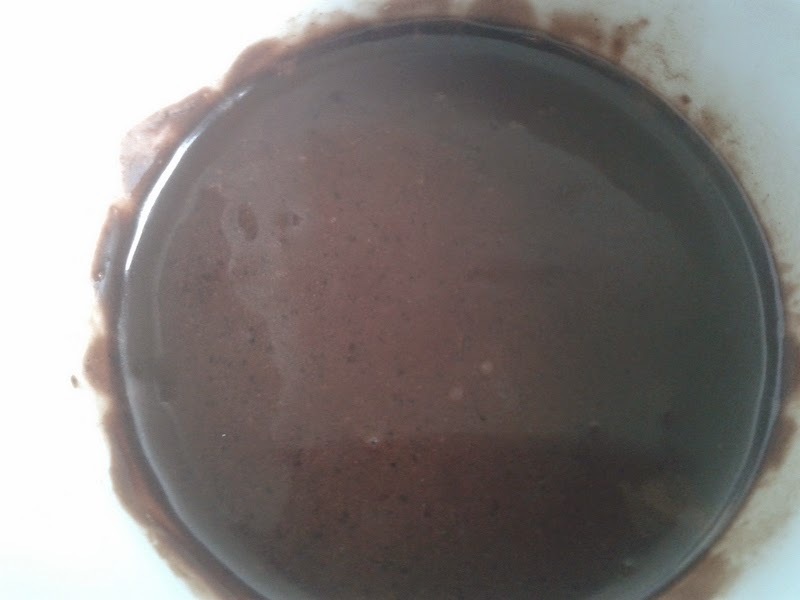 The consistency of the batter should be running but not very watery. Now put the bowl in microwave and cook for 2 minutes. Remove from microwave and check if the brownie is cooked or not by piercing with tooth pick. If it comes out clean the brownie is ready. You can either enjoy this hot chocolate cake or place a scoop of vanilla ice cream on top the brownie and serve immediately. 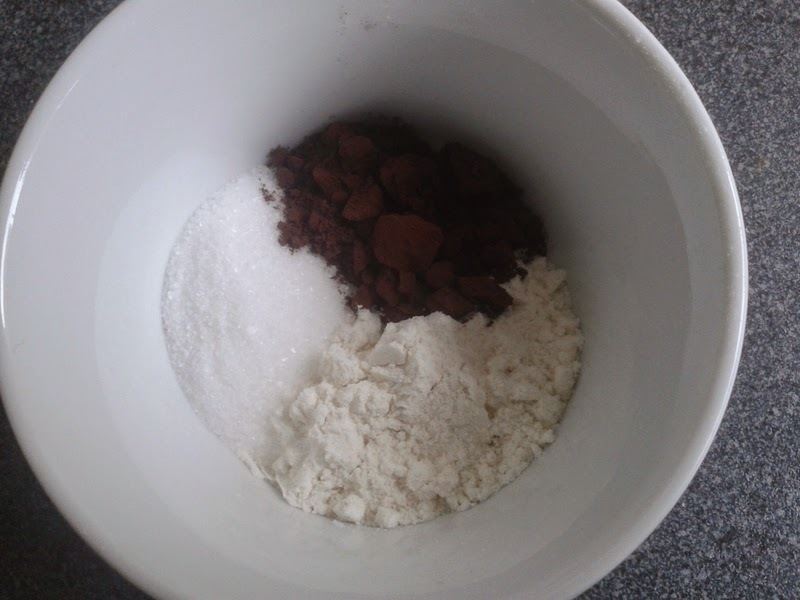 In a microwave safe bowl add all purpose flour, sugar and coca powder. Now add milk, oil, vanilla essence, baking powder and a pinch of salt. Stir all the ingredients well with a spoon. Now put the bowl in microwave and cook for 2 minutes. 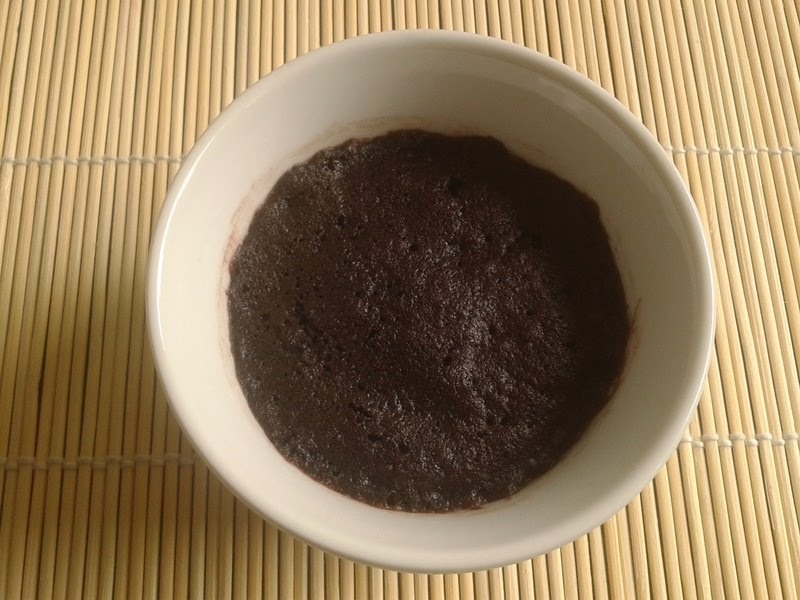 Remove from microwave and check if the brownie is cooked or not by piercing with tooth pick. If it comes out clean the brownie is ready. 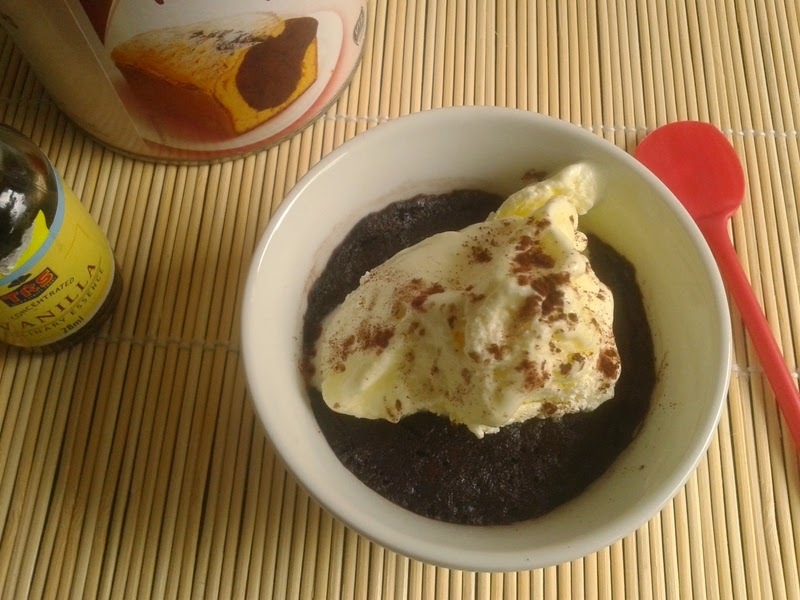 Place a scoop of vanilla ice cream on top the brownie and serve immediately.